Robb (1892-1989) was a classical composer, Hispanic folk-song collector and preservationist, arts administrator, and attorney from Albuquerque, New Mexico. A symphony concert in his hometown of Minneapolis when he was a pre-teen planted the seed for Robb’s lifelong desire to be a composer. He began studying cello, and then pipe organ. While pursuing an undergraduate degree in English literature at Yale University, Robb continued his music education, including a course taught by Horatio Parker. Despite his passion for music, Robb turned to a career in the law. He attended both the University of Minnesota Law School and Harvard Law School (Meredith 2003). Robb worked as an international bond lawyer in New York City, but always made time for his music aspirations. During a 1935-36 leave of absence from his law firm, he studied composition with Nadia Boulanger at the American Conservatory in Fontainebleau, France. It was her encouragement that gave him the confidence to pursue his dream of being a composer. Throughout his life, he made time to study composition; his teachers included Horatio Parker, Darius Milhaud, Roy Harris, Paul Hindemith, and Nadia Boulanger (Meredith 2003; Smith 2009). In 1941, after 18 years as a lawyer, Robb left his successful New York law practice to become a professor at the University of New Mexico in Albuquerque, New Mexico. One of his first achievements was to establish the University of New Mexico Symphony Orchestra, which continued to thrive in 2013. He played a major role in building the college’s Department of Music. Among the many composition students he influenced are Halim El-Dabh (Meredith 2003) and John Lewis of the Modern Jazz Quartet.Template:UNM College of Fine Arts newsletter, winter/spring 1989, Page 2 Robb served as Dean of the university’s College of Fine Arts from 1942 to 1957 (Van Cleve 2013). He became known as Dean Robb, a title that stayed with him for the rest of his life. In 1986, he received an honorary Doctor of Music degree from the University of New Mexico (Houston n.d.). Not long after arriving in New Mexico, Robb became enamored of the Hispanic and indigenous cultures, in particular their distinctive music. On many weekends, he and his wife, Harriet, would hop in their car and head to the rural communities that dotted the state. Sometimes Robb had appointments set up, but other times, they just happened upon community gatherings. With permission of the performers, Robb would pull out his Wollensak wire recorder, hook it up to his car battery and record the musicians’ impromptu performances. “From the offices in the UNM Music Department to the dance hall across the street from the Rainbow Bar in Cuba, New Mexico, Robb recorded anyone who was willing to spend the time singing and playing for him” (Meredith 2003). This effort would ultimately result in nearly 3,000 field recordings of traditional music from the American Southwest, Nepal, and South America, which form the core of the John Donald Robb Archive of Southwestern Music at the University of New Mexico (University of New Mexico. n.d.(2)). In addition to a commitment to preserve traditional songs and song forms that might otherwise be lost, Robb turned to those songs as inspiration for his own compositions. His regional opera, Little Jo, written in 1947-48, best shows how Robb drew from Hispanic folk music in his compositions. Another ambitious work, Joy Comes to Deadhorse, also illustrates Robb’s fascination with his adopted home. The musical was set on two adjoining ranches in the Southwest, and centers around an Anglo boy and an Hispanic girl who fall in love with each other, despite the machinations to the contrary of their fathers. The play did not receive the national attention Robb had hoped for, and he turned to Tom Jones, a young unknown lyricist, who showed interest. After years of unsuccessful collaboration, Robb agreed to relinquish his rights to the work to Jones, who reworked it with Harvey Schmidt into a non-Hispanic version. The result was The Fantasticks, which ran for 42 years at the Sullivan Theater in New York for a total of 17,162 performances (Meredith 2003). Robb composed a large body of music, including two operas, symphonic and chamber music, and electronic music. 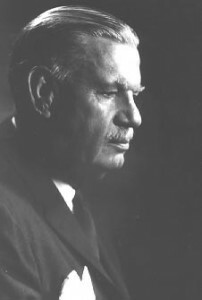 His orchestral works have been played by many major orchestras in the United States and abroad under conductors, such as Hans Lange, Maurice Bonney, Maurice Abravanel, Leonard Slatkin, Gilberto Orellano, Yoshimi Takeda, Guillermo Figueroa, James Richards and Franz Vote (University of New Mexico. n.d.(1)). Robb was in his 70s when he discovered an entirely new medium for his musical compositions. In the summer of 1965 he attended a seminar hosted by Robert Moog in upstate New York to learn more about a revolutionary new instrument, which came to be known as the Moog synthesizer. Shortly thereafter he became one of the first to purchase the synthesizer and set about to create a new body of electronic music. In all, Robb composed more than 65 electronic works (University of New Mexico. n.d.(1)). At a 1969 concert, he collaborated with the Albuquerque Symphony Orchestra to present “Transmutation for Orchestra and Electronic Instrument”, one of his compositions that involved both the Moog synthesizer and an orchestra. A selection of his electronic works was presented at a 1969 international music festival in Trieste, Italy. As a pioneer in this new medium, he spoke at conferences around the world. In 2012, Robb was recognized as one of 12 pioneers of electronic music featured in the Moog Foundation’s 2012 wall calendar (University of New Mexico. n.d.(1)). Robb died in 1989 at the age of 97, within 10 days of the death of his beloved wife, Harriet. They had been married for 68 years (Houston n.d.). He was active as a composer well into his 90s and completed his Requiem, which was his last major composition, when he was 93. Four distinct collections make up the John Donald Robb Archives in the UNM University Libraries’ Center for Southwest Research. They are the John Donald Robb Field Recordings, which can be listened to online; the John Donald Robb Photograph Collection, the John Donald Robb Papers, which include original Robb’s original music manuscripts, and the John Donald Robb Musical Trust Records. Also included in the archives are collections preserved by Robb’s associates. This list includes Hispanic music, Native American chants, music from South America and Europe, and oral histories (University of New Mexico. n.d.(1)). In 1954, Robb published Hispanic Folk Songs of New Mexico, a book that presents a selection of songs along with insightful background of the different genres of the music. The book was revised in 2008. More Hispanic Folk Songs of New Mexico is planned for publication in 2014. His magnum opus, often referred to as the Big Book, is the authoritative, Hispanic Folk Music of New Mexico and the Southwest: A Self-Portrait of a People, which was out of print for many years and achieved “collectable” status. A revised edition, from UNM Press, was published in March 2014. Here is what University of Oklahoma Press wrote when the book was first published in 1980: “In some 700 songs and melodies, most with English translations and musical transcriptions, the author presents the Hispanic folk music of the Southwestern United States in all its rich variety. This is truly a panoramic survey of Hispanic folk music, including representation of every formal type and dozens of subjects, both secular and religious, from Arizona, California, Colorado, New Mexico and Texas. Ethnomusicologists and folklorists will value this comprehensive work both for its unrivaled scope and for its musical emphasis. Those exploring Hispanic cultural heritage will find this book a treasure trove” (Robb 1980, blurb inside front dust-jacket). Upon the deaths of Robb and his wife, Harriet, in 1989, the Trust was established at the University of New Mexico College of Fine Arts by a self-supporting endowment. 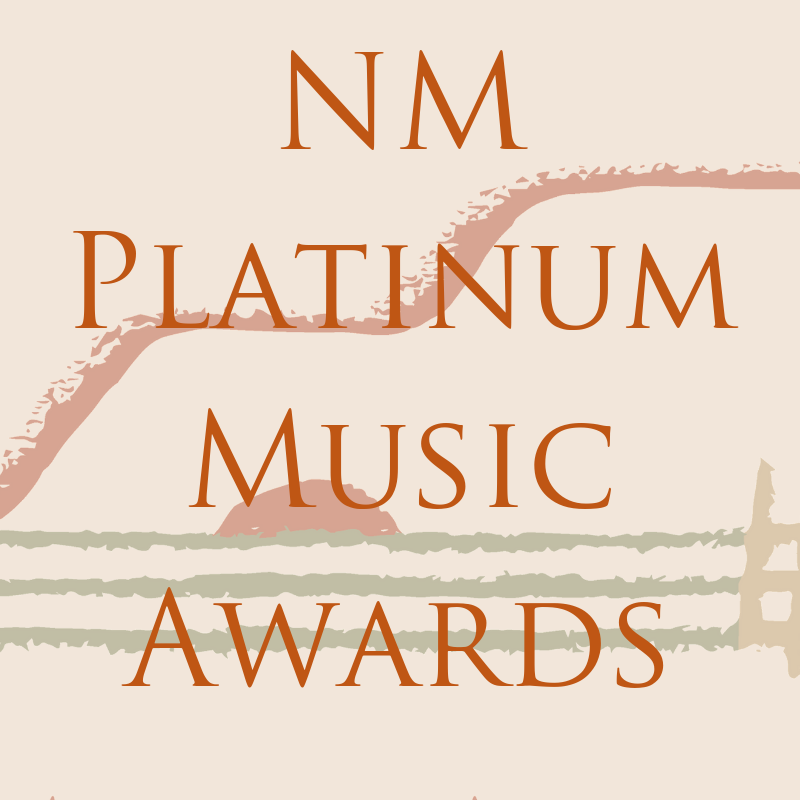 Managed by an all-volunteer board of directors, the Trust in collaboration with UNM works to further his inspiring commitment to education, and to advance the understanding of music in the Southwest by supporting the performance of Hispanic folk songs, along with the performance, study, promotion and dissemination of Robb’s own music. Among its initiatives, the Trust co-sponsors the annual UNM John Donald Robb Composers’ Symposium (see details below). The Trust also supports the biennial UNM John Donald Robb Composers’ Competition, which is open to composers from around the world. All entries must be built on folk-song source material from the John Donald Robb Archive of Southwestern Music. The winning composition is performed during the following UNM Composers’ Symposium (University of New Mexico 2014). In addition, the Trust supports a graduate assistantship and small grants that advance the mission of the Trust (University of New Mexico. n.d.(1)). The Composers’ Symposium brings internationally acclaimed composers to the UNM campus every spring for four days of concerts, master classes and seminars in one of the longest-running festivals of new music in the world (University of New Mexico 2013, 23). The symposium began in 1972 when UNM Music Professor William Wood invited his former teacher, Norman Lockwood, to the campus, where his compositions were performed, along with the works of UNM music composition students (University of New Mexico 2013, 23). In 1999, the symposium was renamed the John Donald Robb Composers’ Symposium. The symposium is now presented jointly by the Trust and the UNM Department of Music. Included among the many distinguished guests have been John Cage, George Crumb, Vincent Persichetti, Ernst Krenek, Alan Hovhaness, Milton Babbitt, Karel Husa, Michael Colgrass, Julio Estrada, Thea Musgrave, Lukas Foss, John Lewis, Gordon Mumma, Ned Rorem, Joan Tower, Cecil Taylor, and Christian Wolff. above: March 1988: Performance by the Chamber Orchestra of Albuquerque, David Oberg Music Director and Conductor. This was the first performance of the complete Symphony. The Elegy (with cello obligato) was recorded circa 1979 by the Chamber Orchestra of Albuquerque and was released on Opus One label Number Fifty-one (Max Schubel, owner and founder). The Elegy was composed shortly after World War II and was dedicated to the soldiers, sailors, and airmen who gave their lives in that war.